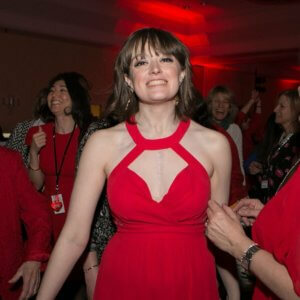 As a journalism student, Taylor was looking forward to a career of telling the stories of others when her health suddenly began failing, leaving her hospitalized and in desperate need of a new heart. A donor’s gift gave her a second chance at life, and the inspiration to use her journalistic talents to share another story with the world — her own. Taylor was 19 and excited to be back at college for her sophomore year when she started feeling poorly. Weak and losing weight rapidly, Taylor was forced to leave school. An emergency trip to the hospital revealed that Taylor’s heart was operating at less than five percent. She received a pump for her failing heart and was placed on the transplant waiting list. In April, after five months in the hospital, Taylor received the new heart from a generous donor that saved her life. Taylor is now back at college. She is the news editor for the school newspaper and very involved on campus. Taylor also volunteers to spread the word about the importance of registering as an organ, eye and tissue donor, and she shares her experience whenever possible.